1 bed apartment with sea view on established complex - Property for sale. 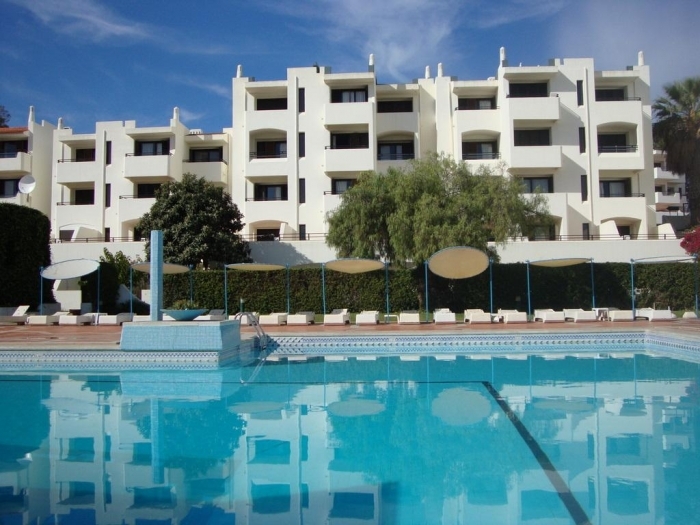 Full Description: Very nice 1 bedroom apartment located on an established complex overlooking the Old Town of Albufeira. Fully furnished and equipped and with wonderful sea view the apartment presents an excellent investment and rental opportunity. All amenities are within walking distance and there are plenty of on site facilities not to mention the tranquil surroundings, communal green spaces and beautiful sea views. The beach is a 10 minute walk and Faro airport is only 25 minutes transfer time. Accommodation in this well presented apartment comprises an entrance hallway leading through to the lounge/dining area with patio doors to a private sun terrace with sea views perfect for al-fresco dining. The kitchenette is fitted and equipped and is separated from the living area by a built in breakfast bar with room to seat four people comfortably. There is a double bedroom with fitted wardrobes and direct access to the same terrace as the living room, full bathroom and plenty of storage space. The complex itself has everything you could want for an enjoyable holiday including a year round reception, 3 swimming pools (1 heated), tennis courts, 2 restaurants, bar with entertainment, games room, childrens play area, plenty of green spaces and a convenience store. This is a very nice apartment in good order and in a popular location. Viewing recommended.